Hiring an employee should be a celebratory moment. A new person is joining the team, with new strengths and new potential. Yes, the hiring process can be time-consuming and no one enjoys doing paperwork, however we want to help you successfully complete that paperwork. Start that new employee with professional confidence. Content Advisory: This guidebook is specific to doing business in the USA and is not meant for businesses in other countries. 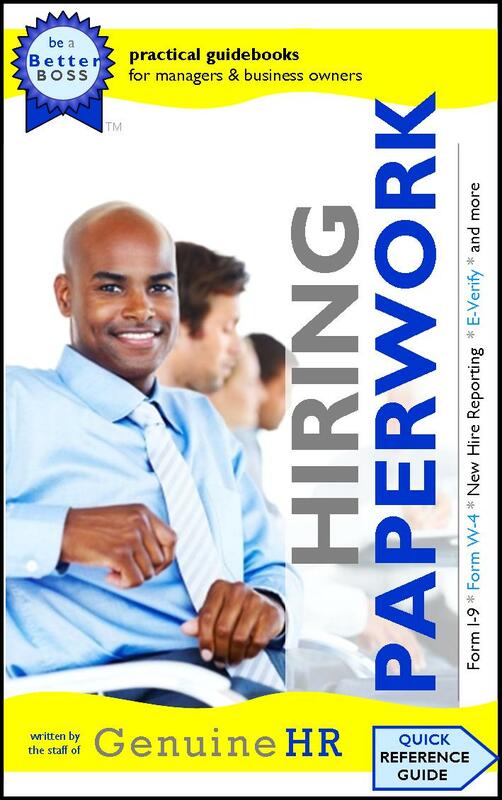 HIRING PAPERWORK, a practical business guidebook written by the staff of Genuine HR.